Nine models from the new JCB QS range of mobile generators built to withstand the harshest environments will be making their way to the Australian market. The new models are driven by JCB diesel engines which have been tested in around 200,000 machines across the globe. "Each model has three-stage fuel filters and an optional self-cleaning air filter to protect the engine from premature wear," JCB Construction Equipment Australia (JCB CEA) national product manager Dave Moselen says. "The whole range has been tested and operated to withstand temperatures over 50 degrees Celsius so they can provide non-stop power and performance no matter where they are installed." The generators are encased in a steel canopy which incorporates a single-piece roof that has been dipped in phosphate and given a seven-stage paint process which JCB says delivers a highly durable finish. 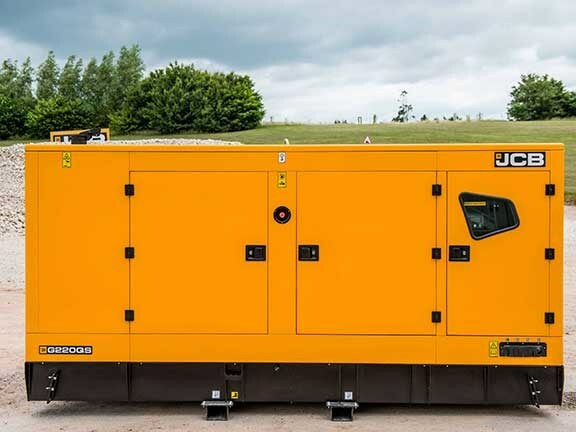 The generators have large, heavy-duty service doors that provide access for regular servicing, and the doors themselves have removable hinges so operators can lift the doors off for even greater accessibility. The steel doors and canopy also reduce noise levels. "The noise levels in the QS series generators are as low as 62dBA so they’re ideal for a range of applications," Moselen says. The QS series also has the latest in JCB tech advancements, such as remote connection to JCB LiveLink, which offers real-time machine information on maintenance, run hours and security status delivered straight to a PC, tablet or smartphone. LiveLink also allows operators to remotely monitor and manage the power levels of the generators to suit various conditions. 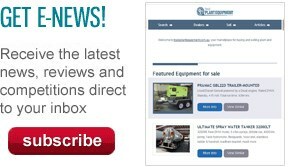 "We understand that our mobile generators are frequently used in remote locations or other harsh environments. JCB LiveLink allows users to check their generator in real-time or easily switch between power usage levels when there are changing conditions," Moselen says.